"With AIM, With IMPACT" is our corporate motto. 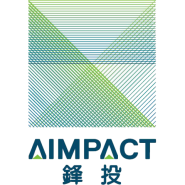 AIMPACT Limited (“AIMPACT”) is a fast-growing company formed by a group of seasoned financial experts with strong business network and solid track record in running business and hands-on experience in both creation and implementation of different business models. The mission of AIMPACT is to be one of the world’s leading online platforms for finance community by connecting the world’s finance professionals and those who need funds for businesses, to enable them to be more efficient and productive. To achieve our mission, we provide services through our website, mobile applications, and regular and ad hoc events, to help you, your connections, and millions of other professionals maintain a closer relationship, exchange ideas, make deals, find business and job opportunities, recruit talents, and enhance personal and corporate image. To facilitate the daily business of AIMPACT’s users, we have developed powerful functions on our platform covering investor relationship management, equity screening, fund searching, online and face-to-face networking, online cardholder management as well as jobs matching system, in particular for the finance sector.